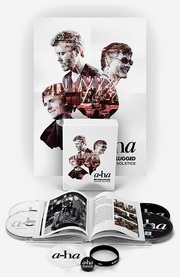 a-ha played the last concert of their South American mini-tour yesterday, when they headlined the fifth day of the Pepsi Music Festival in Santiago, Chile, playing for an audience of more than 14.000 people at the Movistar Arena. 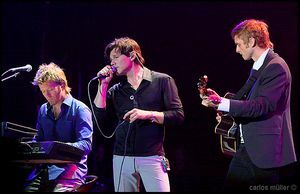 After Blondie and Rick Astley had finished their sets, a-ha came on stage after midnight. A short video clip of “Living A Boy’s Adventure Tale” can be seen on the website of Terra TV. And here is a HD clip of “I’ve Been Losing You”. More pictures from the concert are available on Flickr, here and here. And another video report from Brazil earlier in the week is now up on YouTube.